Decision to curtail tenure of these four officers was taken by the Appointments Committee of the Cabinet, headed by PM Modi. 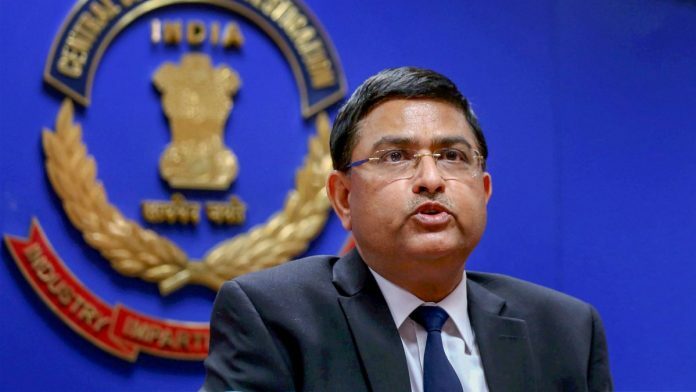 New Delhi: A week after the high-level committee (HLC) headed by Prime Minister Narendra Modi shunted out CBI director Alok Verma from his post, the government Thursday curtailed the tenure of his controversial deputy, Rakesh Asthana, and three other officers with immediate effect. Apart from Asthana, who was under the scanner ever since the CBI under Verma booked him on corruption charges, the other officers who have been unceremoniously removed are Joint Director Arun Kumar Sharma, a Gujarat-cadre IPS officer, DIG Manish Kumar Sinha, an Andhra Pradesh-cadre IPS officer and Superintendent of Police Jayant J. Naiknavare, a Maharashtra-cadre IPS officer. According to the order issued by the Department of Personnel and Training, the decision to curtail the tenure of these four officers was taken by the Appointments Committee of the Cabinet, which is headed by the Prime Minister. Asthana and Verma were engaged in a bitter and very public turf war, with both accusing each other of corruption, leading to both being sent on leave in October last year on the recommendations of the Central Vigilance Commission (CVC). Verma, a former Delhi Police Commissioner, had been appointed the director of the premier probe agency in January 2017 for a two-year period. The Supreme Court, on 8 January, had reinstated Verma. However, two days later, the high-level selection committee, comprising Prime Minister Modi, Chief Justice Ranjan Gogoi (who nominated Justice A.K. Sikri in his place) and leader of the opposition Mallikarjun Kharge, removed Verma from the post. Kharge was the lone dissenting voice in the panel’s decision, and in his five-page note, he said that the 23 October Central Vigilance Commission (CVC) order, which sent Verma on forced leave, was “void and illegal”. The PM-led panel decided to transfer Verma as DG, Delhi Fire Service, a post he refused to accept and wrote to the government that he be treated as having retired. The decision of the panel also came under the scanner after ThePrint reported how, in November, Justice A.K. Sikri, who had represented the CJI at the meeting and had voted to remove the CBI chief, had accepted a post-retirement job offer from the Modi government.